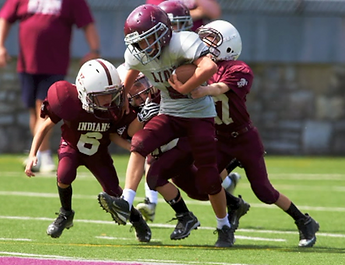 Football players are assigned to teams based on age and weight. Cheerleaders are assigned based on age. Final decisions on team placement are the decision of the State College Lions in accordance with JVFL policies and procedures. League age is determined by the participants age as of 8/1/2019. (note this is a change. The previous rule was September 1st. All football and cheerleading participants must have a completed Medical Readiness form. Blank forms are provided and must be signed by the child's Doctor or Physician's Assistant. A child may not begin to practice until a signed form is received. Note: It is often difficult to get an appointment for a check up at this time of year. Schedule your appointment early. Some Physician's offices will sign a form without an official visit provided your child has visited in the last year. They may charge a small "form fee" for a signature. Check with your Primary Care Physician for this information. All football players and cheerleaders that are new to the SC Lions organization, and therfore new to our parent league, the Juniata Valley Football League (JVFL), must provide a birth certificate or similar governmental document for age verification. This only has to be done once for the very first year of participation.